Sonic the Hedgehog's cuddly cousin? Oculus Story Studio is continuing its development of virtual reality storytelling with Henry, a VR flick premiering on July 28 in Hollywood. The company's blog describes Henry as a "heartwarming comedy about a loveable hedgehog" and is directed by Ramiro Lopez Dau, who worked on the Pixar films Brave and Monsters University. 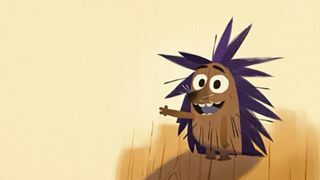 To introduce people to Henry, Oculus launched a microsite for the film, as well as letting the endearing hedgehog take over the main site. Story Studio also released a two-minute trailer for the upcoming VR film. For those unfamiliar with Oculus Story Studio, it was created by the people behind Oculus Rift as a division to explore the future of VR storytelling, especially with film. It's first project, an interactive story titled Lost, debuted at the 2015 Sundance Film Festival. Today's blog post says Story Studio hopes to "inspire and educate virtual reality creators and filmmakers everywhere", and that Henry will be available for free to all Oculus Rift owners later this year.